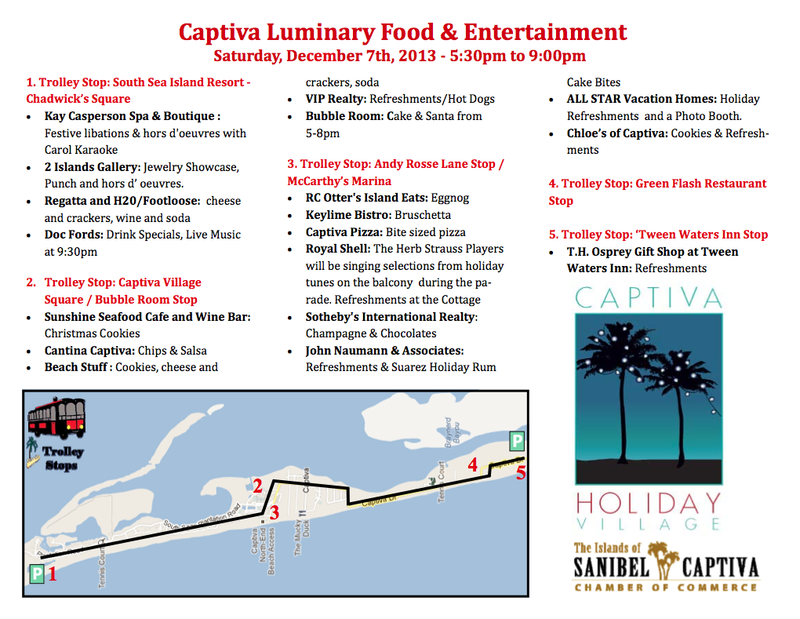 It's that time of the year again for the 29th annual Sanibel & Captiva Luminary Festival. The two islands will be lined with candles and lights to usher in the holiday season. Complementary trolley services bring guest up and down the festival route to various businesses where there will be refreshments, music, and activities. Come enjoy the live nativity and even a visit from Santa! The Sanibel & Captiva Luminary Festival is fun for the whole family and will become one of your favorite holiday traditions each year! Be sure to print out the festival maps below and bring them with you so you can plan out your evenings!